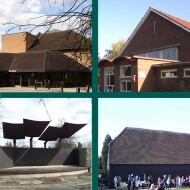 Hillingdon Box Office sells tickets for all events at Compass Theatre as well as more and more for events at the Manor Farm Site’s Great Barn, Winston Churchill Theatre and other venues. Your audience can book 24hrs online via a page dedicated to your show or event on our website, and / or a direct hyperlink link that you can email to your potential audiences or feature on your own website. There are no booking fees to pay and customers are sent an email confirming what they've booked and asking them to collect their tickets on the way in to see the show. Your audience can book by calling 01895 250615 10.30am to 5pm Tuesday to Saturday. There are no booking fees to pay when customers book over the telephone. Telephone bookers can choose their seats and have the option to either collect their tickets on the way in to see the show or pay an additional £1 to have them posted 2nd class, time allowing. For events we are selling tickets for, we offer a full counter service between 10.30am to 5pm Tuesday to Saturday and from 45 minutes before the start of the event. We offer a reservation service that can hold tickets unpaid in someone’s name for up to 5 working days (excluding the day of the show itself). All unpaid reservations are released on the day of the show for general sale. Unpaid reservations are offered at the discretion of the box office according to availability and demand. We don't refund or exchange tickets from one show to another but where possible, we will offer to transfer bookings to another performance of the same show, up to the same value. There is a per ticket charge if producers of events would like an allocation of tickets to sell outside of the Hillingdon Box Office. Tickets we sell will feature the name of the show, date and time of the show, the name of the groups presenting the show, the price of the tickets and the seat number (or for events that are ticketed by general admission as opposed to specific seats, the number of the ticket in order of sale.) Tickets that we print off for you to sell yourself will not show a ticket price. To get your ticket allocation, please request from the Box Office Manager who will print off your allocation and notify you when they are ready to be collected. We also ask that your own box office representative is available to be stationed by the box office, for the hour before your event starts, in order to respond to any issues arising from your own bookings. Should you want to return tickets from your allocation that you've not sold, these must be returned to the box office at least 3 working days before the event to ensure they get back on sale before the event. If customers are required to pay any booking fees to book through your box office, details of these charges must be provided to us so we can list them on our website, in line with the Advertising Standards Authority. Customers at Hillingdon Box Office are not charged any booking fees. There are spaces for 2 wheelchairs at Compass Theatre and up to 4 wheelchair spaces at Winston Churchill Theatre, depending on the seating layout chosen. Registered disabled customers can request a free ticket for an essential carer. Up to 10 complimentary seats per show will be offered to the volunteers who give their time to help keep our venues running. We can also allocate free tickets to members of the press, VIPs etc should you require them. You are not obliged to offer any concessions, offers or discounts. Where offered, concessions commonly include discounts for those under 16s, over 60s, registered disabled, in full time education or job seekers. Our ticketing system cannot offer percentage discounts (e.g. Students 10% off). For online bookings the maximum number of tickets that can be booked in one booking is 9 tickets so group discounts can only be offered over phone or counter. Online bookings cannot discount the price of tickets based on either the total number of tickets booked (e.g. buy 2 get 1 free) or according to another event booked (e.g. book both show A and show B to get discount) If you want to offer this type of discount it can only be sold over phone or counter. We take a commission (currently 8.7% + vat ) on the tickets we sell and any tickets we print off for you to sell yourselves, incur a small per ticket charge to cover the cost of ticket stock. There is a minimum charge for ticketing 'free' events. Within 2 to 3 weeks of your event finishing, your ticket income less commission and vat is then either returned to you by BACS or taken off any outstanding hire charges owed at the time.